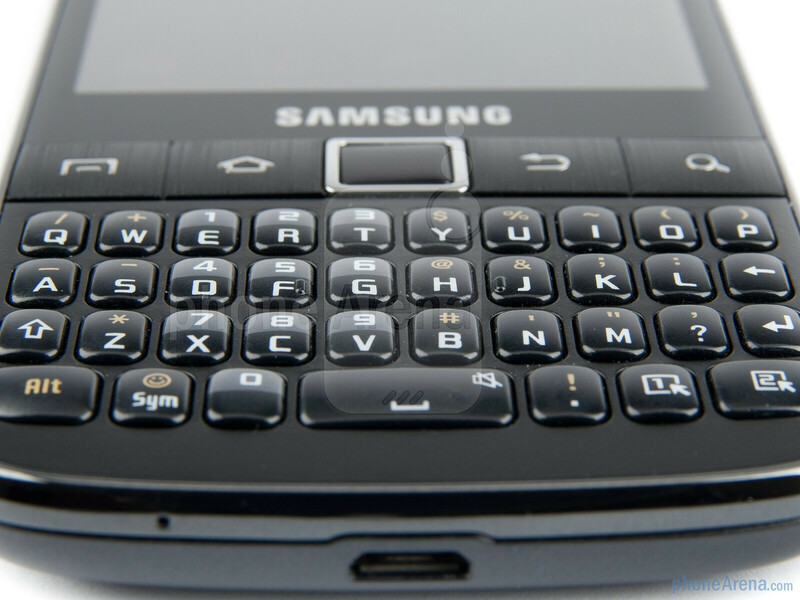 According to the new smartphone naming scheme, the “Pro” component in the Samsung Galaxy Y Pro’s title indicates a physical keyboard. 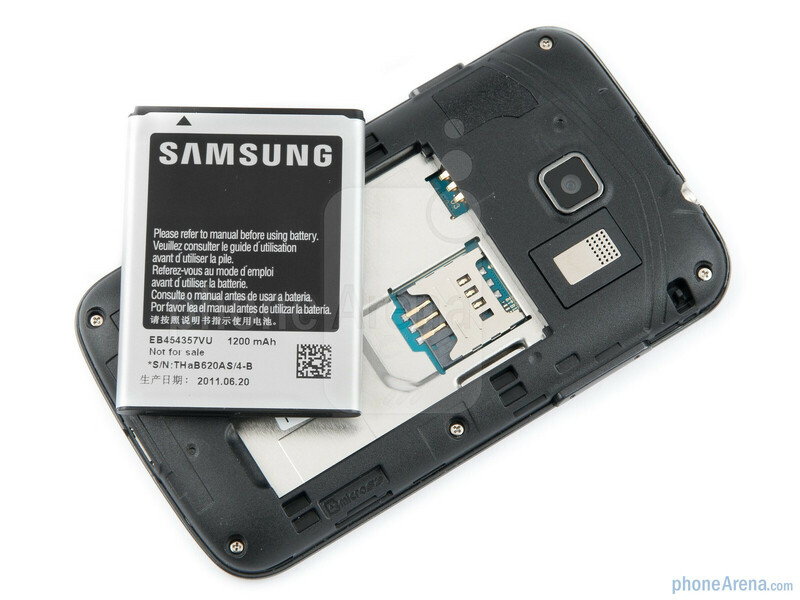 While “Pro” has often been included in the name of portrait or side-sliding physical QWERTY handsets, now the moniker is officialized by Samsung, guaranteeing some thumb gymnastics. Again following the new nomenclature, “Y” should indicate an entry level handset, targeting emerging markets or the younger crowd, i.e. 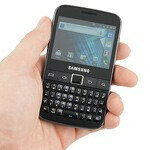 affordable handsets with lesser specs. 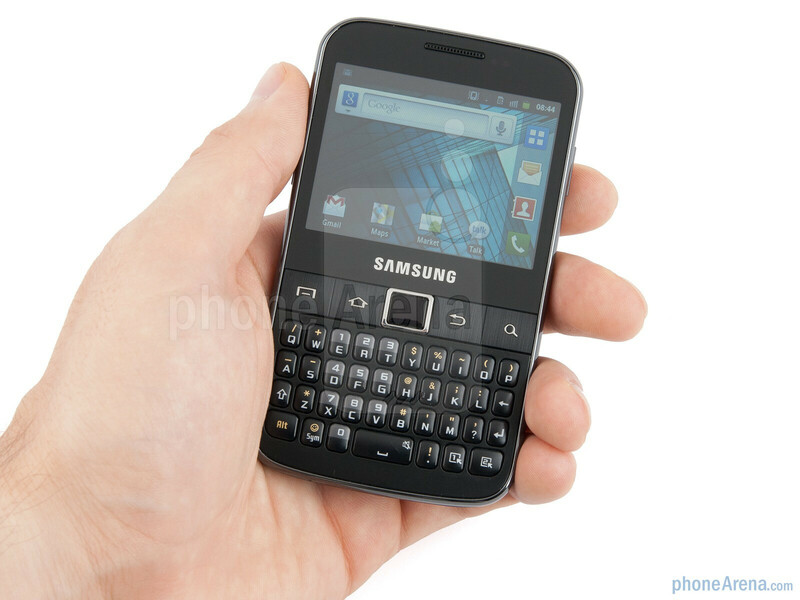 The Samsung Galaxy Y Pro doesn’t shine with any unorthodox design decisions, it’s just a portrait QWERTY candybar. 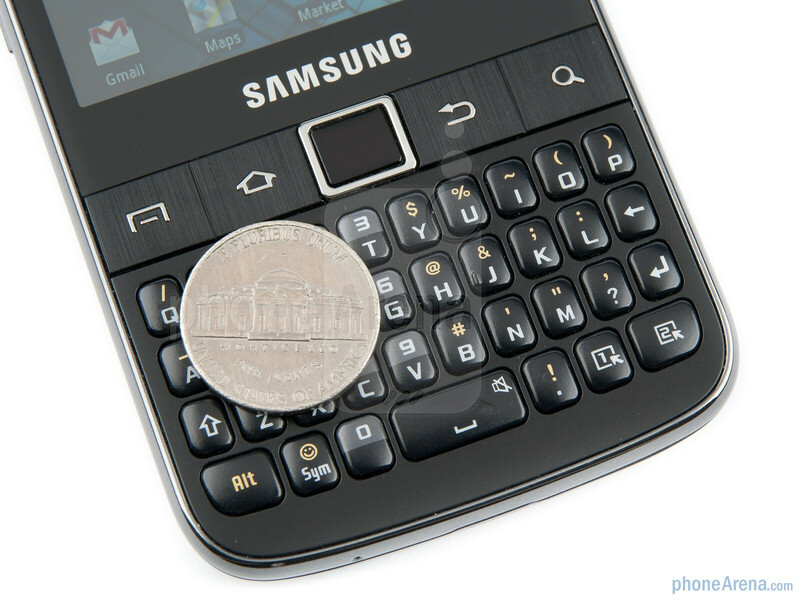 There are no fancy capacitive buttons underneath the display – all four Android keys and the optical pad in their middle are physical buttons, which will appeal to many who prefer a reassuring click and clack underneath their thumbs. All navigational buttons are large, square, easy to find and press. 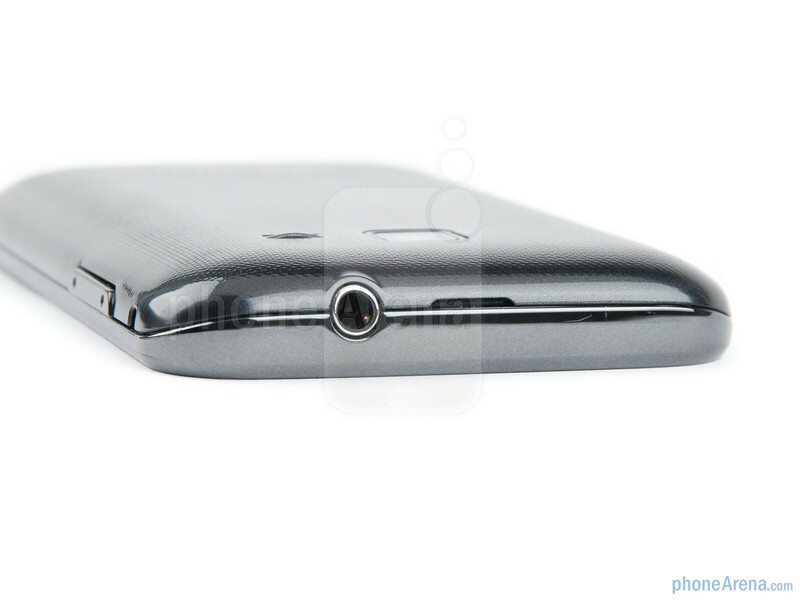 The optical pad can be pressed to execute a command, and it is sensitive enough for accurate navigation across the 2.6” screen. 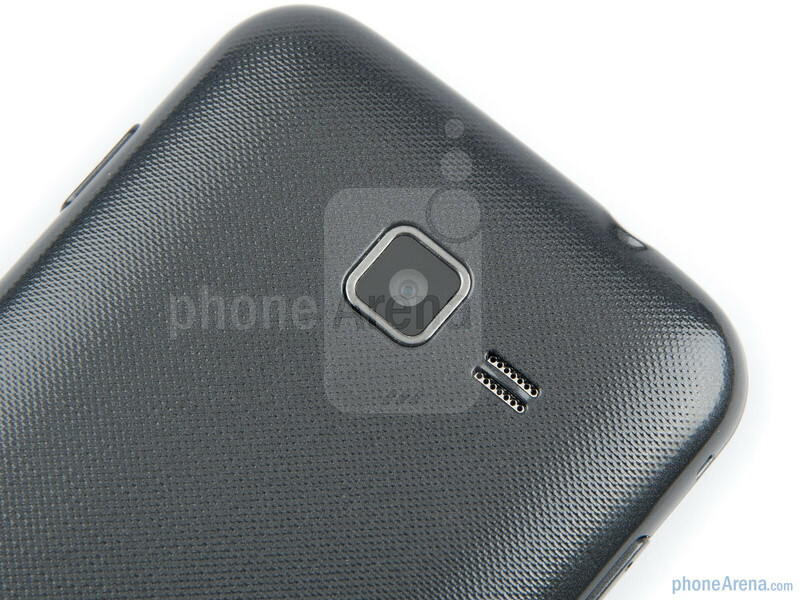 You can compare the Samsung Galaxy Y Pro with many other phones using our Size Visualization Tool. 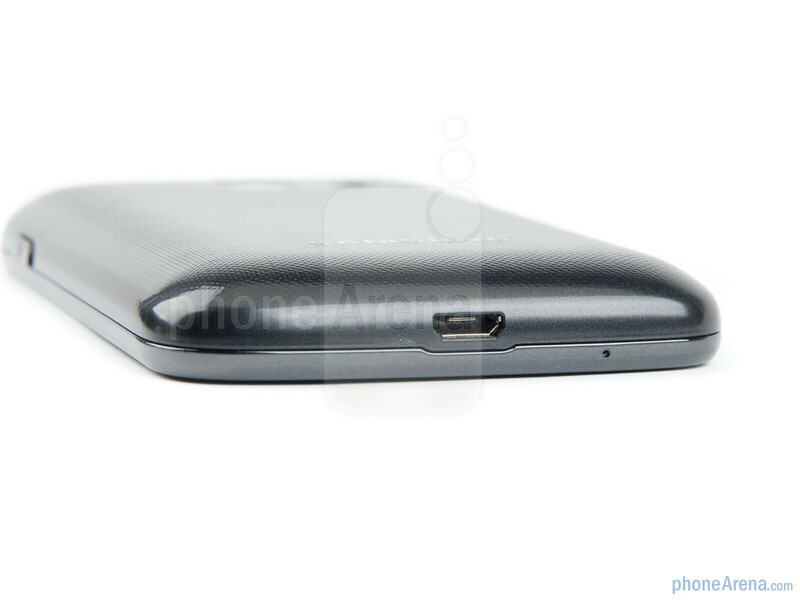 The display size at 2.6” is what one can expect from such a form factor. 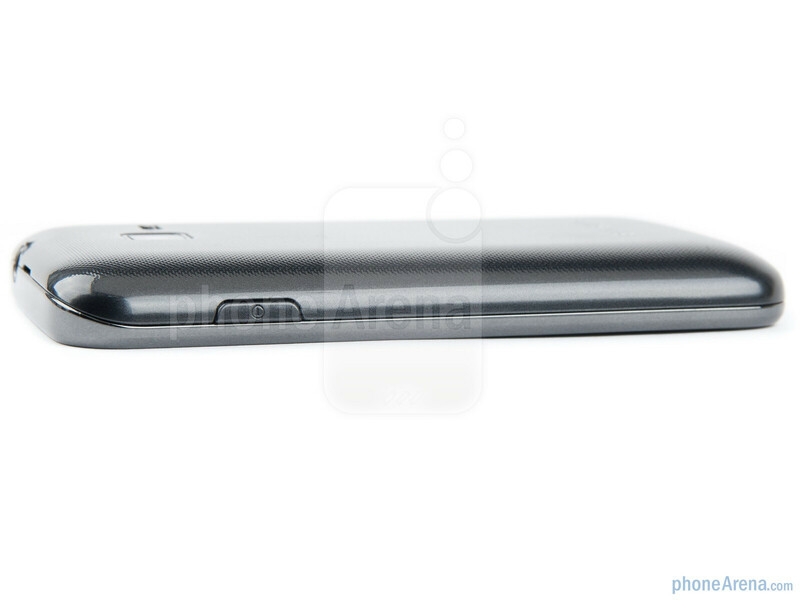 It isn't winning any resolution awards with its 240x320 pixels, but it is something one can expect considering the phone's class. We're happy that the touchscreen layer is very sensitive even on our prototype unit, making navigating Android 2.3 Gingerbread a joy. 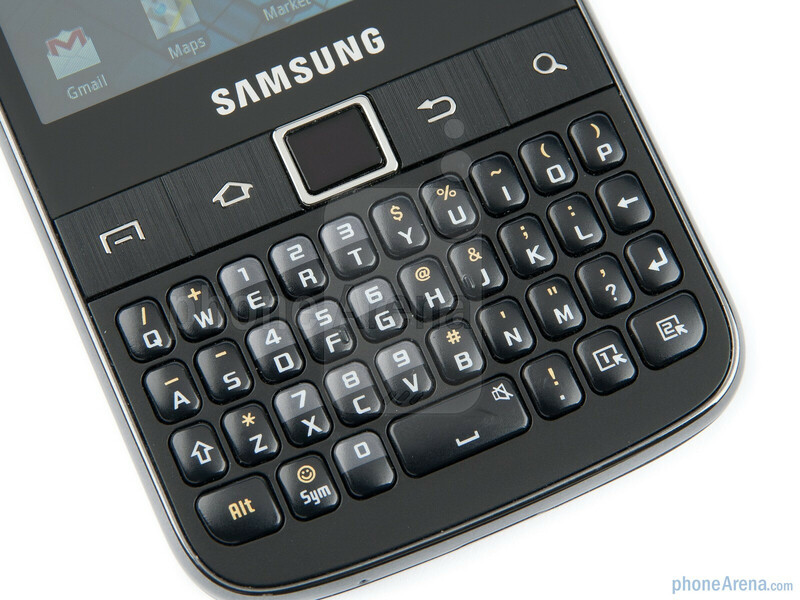 Now it’s time to say a few words about the Samsung Galaxy Y Pro’s most important asset – its physical portrait QWERTY keyboard. 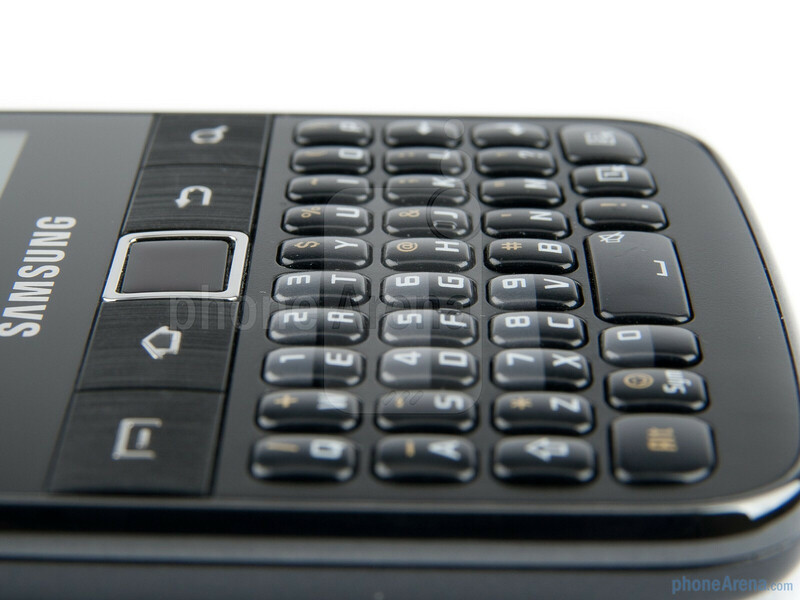 The phone is relatevily wide, with enough space for the keyboard; it is chiclet-style, with each dome separated from the others with enough space to easily feel the buttons by touch. There are two function keys down right, which can be assigned to actions of your choosing – neat idea. 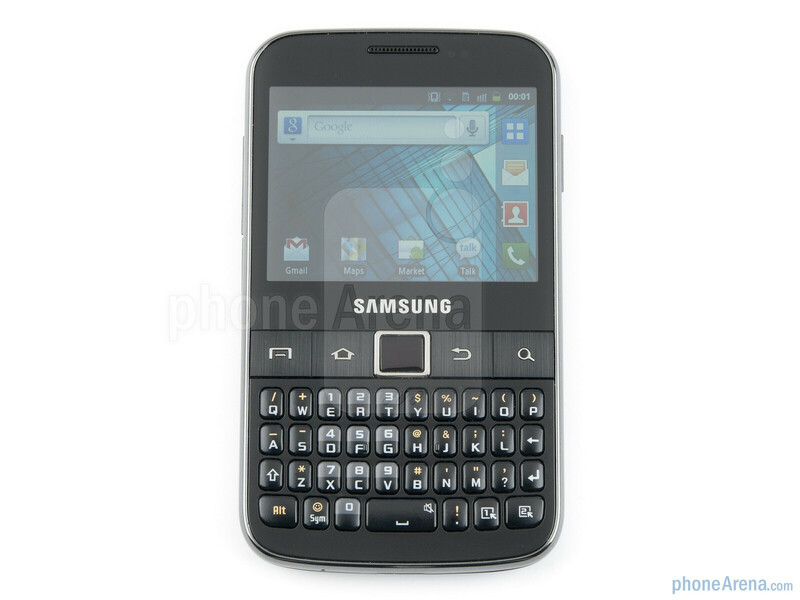 Overall, we dig the simple and functional design of the Samsung Galaxy Y Pro. 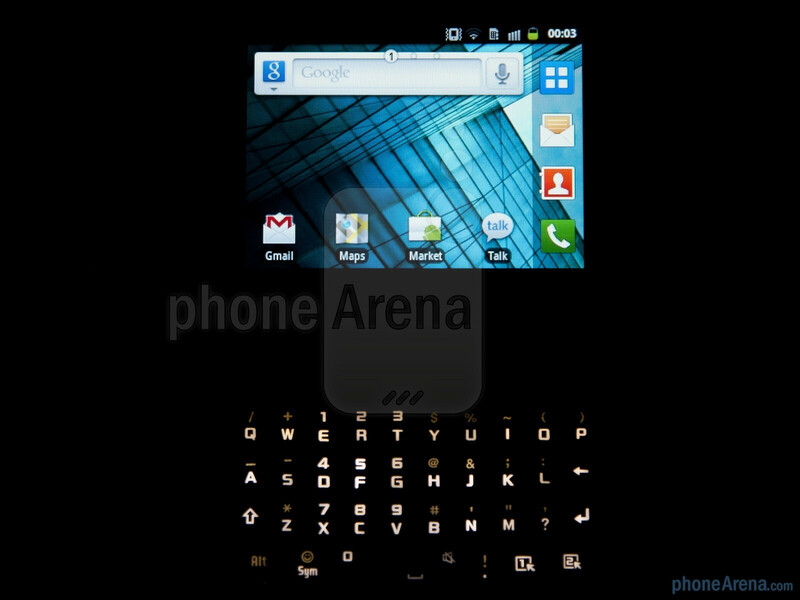 Its physical keyboard keys are of decent size, the navigational buttons are easy to press, and the capacitive touchscreen is responsive. 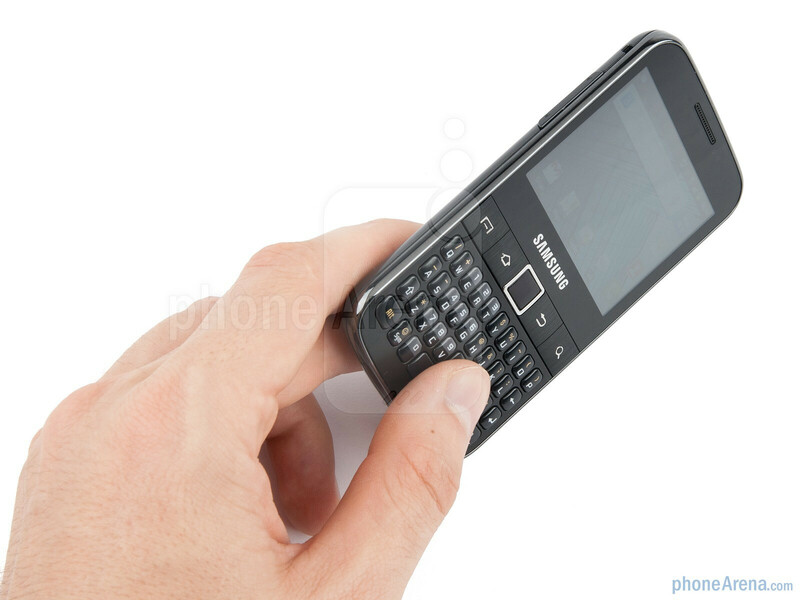 Naturally, if you have larger hands, this won’t be the phone for you, unless you can make do by pecking with your nail edges. Let's preview the Wave 3 next !!! 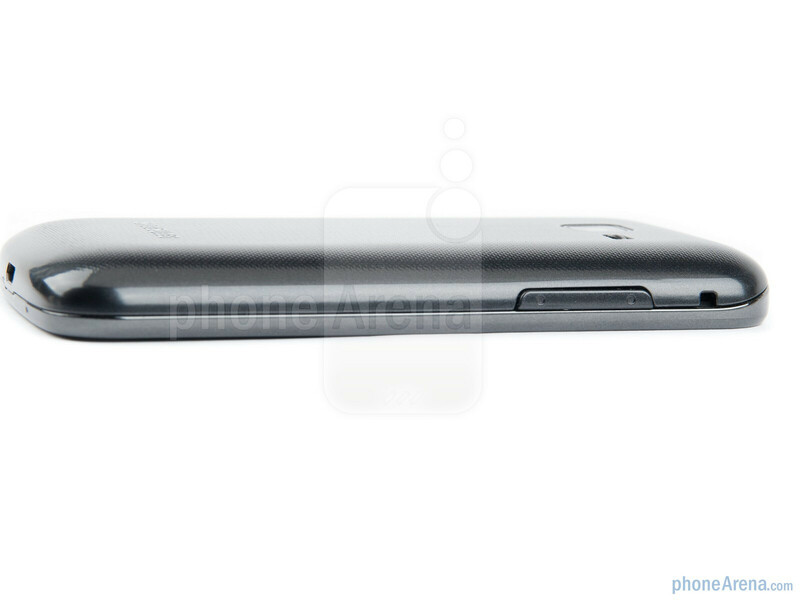 The phone has been released for a while, can we expect more detailed review? How much RAM actually this device has? I could find it anywhere in the net. 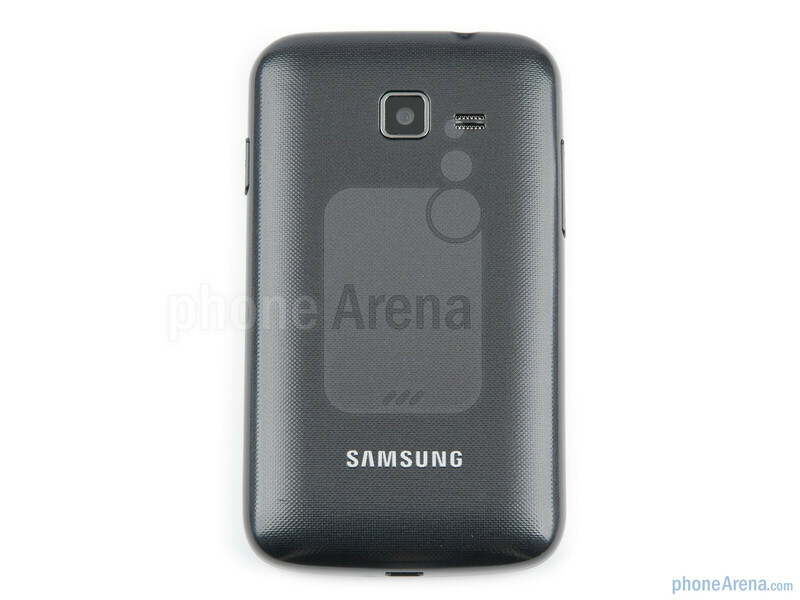 In some places it is mentioned only 256MB, which ridiculous even for a cheap phone as this one.